It is hard to believe but we are 3 weeks away from Christmas Day. We have many joyous and exciting events going on in the school as we prepare our hearts for the coming of Jesus’ birth. This past Sunday marked the first week of Advent and our students are learning about the Catholic traditions of the Jesse Tree and the Advent Wreath. The Nativity Scene has been set up in our front foyer and many students have stopped by to ask “Where is Baby Jesus?” We wait for Christmas Day to put Jesus in the manager and we take this time to prepare our hearts and minds for His birth. We look forward to seeing you at our Annual Christmas Concert and Fundraiser on Thursday, December 6th. Students are asked to be in their classroom by 6:15 and our concert begins promptly at 6:30 pm. Remember to pop by the multi-purpose room to bid on many wonderful auction items. The auction will close during the concert and re-open for 30 minutes after the concert. All items can be picked up upon closing or you will be contacted the next day. Drop by the freshly baked goods table and pick up some desserts for your Christmas table. On Tuesday, December 11th, your child will be invited to paint a ceramic ornament from Crock-a-doodle. This will be fully funded and I wish to thank a generous family and our Catholic School Council for making this possible. On Wednesday, December 12th, please join our school community for our Advent Liturgy at 11:00 am in the Multi-Purpose Room. Our Kindergarten students have been preparing the readings and music for this special celebration. All are welcome. Traditionally, we have celebrated the last week of school before Christmas break with Spirit Days. The following has been planned for the week of December 17th -21st. On behalf of our school community, we pray this Advent Prayer daily. 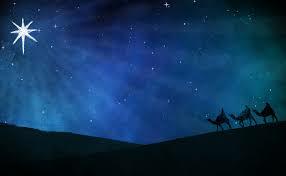 Bless our Advent journey to Christmas with light and patience. Amen.